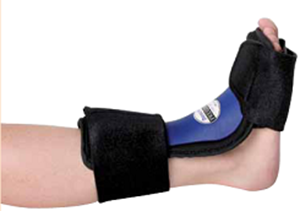 Dorsal PF Night Splint - Large,This splint relieves nightime plantar fasciitis pain. Fexible,comfortable and less bulky. This splint relieves nightime plantar fasciitis pain. Fexible,comfortable and less bulky.